The $40 bln ketchup maker’s board is stocked with representatives of its main shareholders and has plenty of consumer expertise. But Kraft Heinz has missed a trick. Its rivals have more flavor from other industries. Having disappointed investors, there’s room for fresh insights. 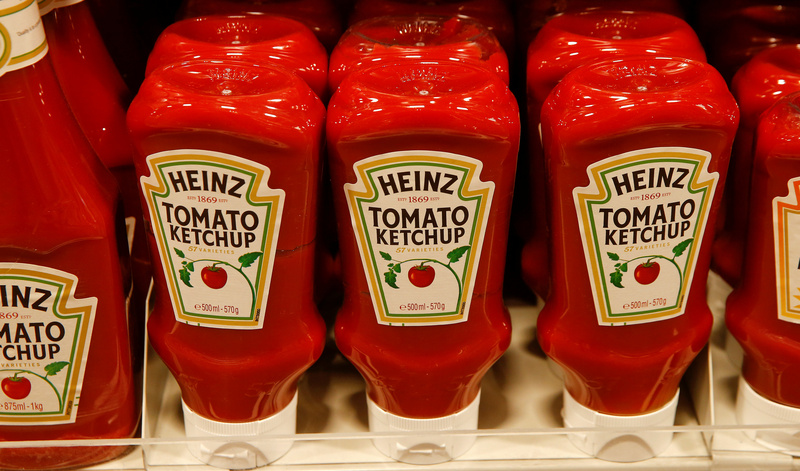 Bottles of Heinz tomato ketchup of U.S. food company Kraft Heinz are offered at a supermarket of Swiss retail group Coop in Zumikon, Switzerland December 13, 2016. Kraft Heinz shares fell 31 percent in the eight trading days since Feb. 21, when it reported a $15.4 billion writedown and said it had been subpoenaed by the U.S. Securities and Exchange Commission over some of its accounting policies. Berkshire Hathaway and 3G Capital together own 49 percent of the food producer’s shares.